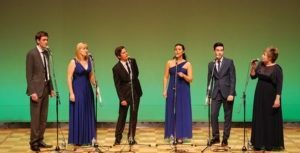 Sponsors of A Capella – Celebrate Voice 2016 | Richard Griffiths & Co. Celebrate Voice present an evening of some of the finest professional a cappella singing today, with a concert featuring a double bill of performers – one concert, twice the talent! 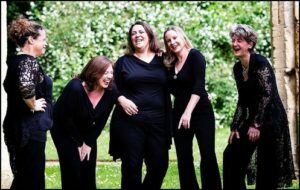 Papagena is an all female a cappella vocal group, exploring the wealth of music from medieval times to the present day written specifically for female voices. The group’s programming defies pigeonholing; drawing richly on traditional folk music and women’s working songs from around the world, Papagena juxtaposes these pieces with more classical repertoire from Hildegard of Bingen and Purcell to Katy Perry and Imogen Heap. Blossom Street is a highly versatile and vibrant chamber choir comprising some of the UK’s best young singers, which performs regularly on TV and radio as well as on the concert platform and has released two critically acclaimed CDs with Naxos. “One of my favourite choirs” David Mellor, Classic FM. “It is some indication of the quality of the singers in Blossom Street that all the solos are outstanding” Edward Greenfield, Gramophone. Join these outstanding ensembles for an evening of contrasting a cappella delights.